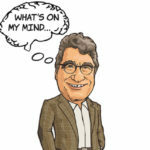 Vanderbilt alumnus and first-time author Andrew Maraniss will receive the 2015 Lillian Smith Book Award for his acclaimed work Strong Inside: Perry Wallace and the Collision of Race and Sports in the South at a ceremony outside of Atlanta on Sept. 6. 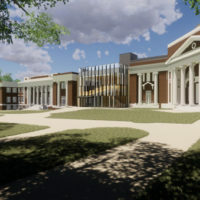 The book is a biography of little-known sports and civil rights pioneer Perry Wallace, a former Vanderbilt University basketball player and the first African American player in the Southeastern Conference. Published by Vanderbilt University Press, the book debuted on the New York Times bestseller lists in both the sports and civil rights categories and remained on both lists for four months. It also received a rare “Special Recognition” honor at the 2015 Robert F. Kennedy Book Awards. 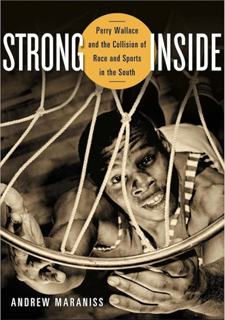 Strong Inside is the first sports-related book to receive a Lillian Smith Book Award or an RFK Book Award. The Lillian Smith Book Awards were created in 1968 and are considered the South’s oldest and best-known book prize. Smith, an outspoken writer on issues of social and racial injustice, was the internationally acclaimed author of the controversial novel Strange Fruit (1944). The mission of the awards program is to enhance racial awareness through literature by recognizing books that are outstanding creative achievements, worthy of recognition because of their literary merit, moral vision and honest representation of the South while representing the ideals of a racially just society. Strong Inside was one of just two books selected to receive the Lillian Smith Book Award this year out of 42 nominees. Previous winners include literary giants Alex Haley, Alice Walker, Cormac McCarthy and Pat Conroy, and civil rights icons such as Rep. John Lewis, Bernard Lafayette and Marian Wright Edelman. The 2015 Lillian Smith Book Awards ceremony will take place at the DeKalb County Public Library in Decatur, Georgia, on Sept. 6.